JS & jQuery Foundation: Sending data from the browser to the webserver and back is a foundational concept of modern web design. 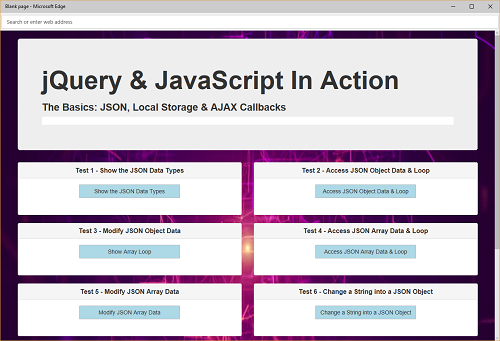 In this project you will be introduced to JSON objects for data transfer and the Ajax callbacks that make it all possible. Ajax Callback "Get" & "POST"